Amit grew up watching his dad, a pulmonary physician, help others. He was most impressed by his father’s bedside manner and the way his dad cared for people, patiently explaining complex medical subjects and displaying kindness and compassion toward their families. That level of caring has carried over to how Amit conducts his own practice: providing his clients with a standard of care that is both old school and new, as it is complemented by Morgan Stanley’s advanced technology and global resources. Amit manages approximately $150 million (as of April, 2019) in assets for physicians, business owners, professionals and retirees. He joined Morgan Stanley just 30 days after graduating from college in 2005. The following year he became a member of Morgan Stanley’s prestigious Pacesetters Club, a global recognition program for Financial Advisors who demonstrate the highest professional standards and first-class client service within their first five years. He later took on a branch manager role in Butler, Pa., for two years. That led to a promotion to branch manager of an office in Sewickley, an important branch in the region—and the country. From 2012-2018, he was honored as a “Five-Star Wealth Manager” by Pittsburgh Magazine, an award given to advisors who demonstrate excellence in their field. Developing strong relationships with his clients – communicating, educating and working with them to find solutions – is what he loves most about his work. 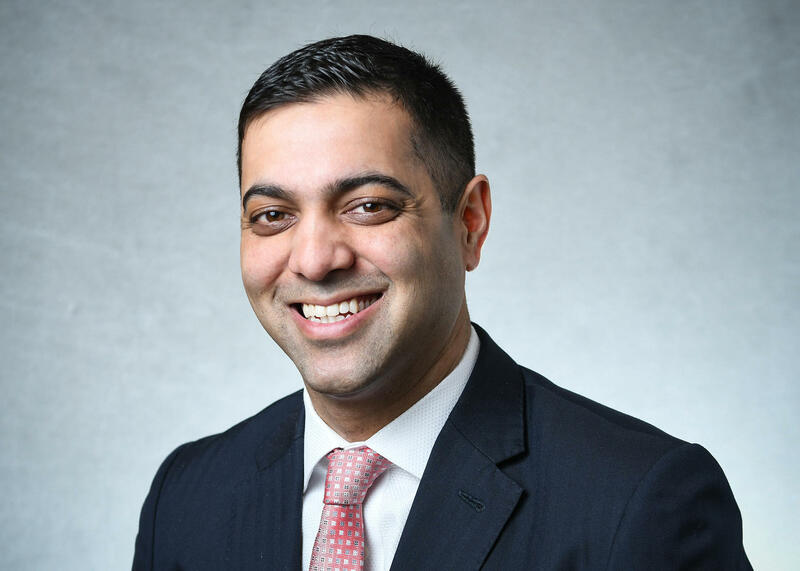 In addition to advising his clients, Amit now serves on the management team of the Northern Ohio-Western Pennsylvania Complex as the Branch Manager for the Sewickley office. In these roles, he oversees more than 35 employees. On Wall Street named him as one of the industry's top 100 branch managers in 2017 and one of the industry’s top 75 branch managers in 2018. Although his roles are seemingly a 24-hour commitment, Amit makes sure to find time for his community and giving back. He and his wife Beth have made altruism an important part of their lives. Indeed, it has turned into a passion: Amit sits on three nonprofit boards and advocates for 12 other nonprofit organizations, including the Cystic Fibrosis Foundation, for which he and his family have raised more than $180,000. Morgan Stanley’s National Diversity Council is another area where Amit has contributed for nearly five years. He is currently one of its co-chairs. Prior to being asked to chair the National Council, Amit had co-founded a local diversity council in Pittsburgh. He is dedicated to increasing awareness of how diversity and inclusion can spur innovation, improve client service and enhance financial performance. He graduated from Hamilton College as Dean’s List student with a B.A. in Mathematics and a minor in Economics. He holds the Series 7, 9, 10, 31, 66, and Pennsylvania Life, Accident & Health Insurance Licenses. Amit has also earned the highly regarded Certified Financial Planner® and Certified Investment Manager Analyst® designations. Amit, Beth and their daughter Annika reside in Fox Chapel, Pennsylvania. When not helping his clients, he enjoys spending time with his family, working out, golfing, playing paddle tennis and watching college lacrosse, which he played at Hamilton. He is a member of the Sewickley Heights Golf Club. Amit credits his parents with giving him his drive and dedication. He is extremely grateful for the opportunity Morgan Stanley has given him; and joined the Firm in large part due to its commitment to client service. Like his father, he takes the most pride in caring for his family, clients and employees. Mr. Amit Grover currently serves on the Board of Trustees for Shady Side Academy, Pittsburgh Urban Magnet Project (PUMP) and Girls Hope. He also serves on the UPMC Children’s Trust and serves as the Co-Chair for Morgan Stanley’s National Diversity Council. Ms. Joan McKee is a Senior Registered Client Service Associate who has been with the firm since 2002 and has industry experience since 1985. She is a graduate of Slippery Rock University with a degree in Marketing/Business Administration. Her primary responsibilities include all day to day operational and administrative functions in order to meet our clients needs. She resides in Gibsonia, PA and is passionate about spending time with her children and loves animals and the outdoors.